* The pricing below is higher than most support plan pricing. Please contact us today for a free Custom Quote. Only looking for specific web hosting support solutions? Build your own support package here to suit your specific needs. You may pre-purchase blocks of tickets, chats and/or phone minutes to receive discounted rates. Each month your account renews at the package price for the number of incidents in your support block. Your hosting support overage is then billed at standard rates and you are invoiced at the start of the next month for any overages the previous month. This method is used for all three types of outsourced web hosting support to include helpdesk support, telephone support, and live chat hosting support. 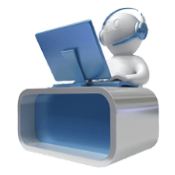 The foundation of our outsourced support services is our technical support provided via helpdesk. Our technicians take on the burden of supporting your customers, freeing up your time for other tasks. This allows you and your team to focus on sales, marketing, and building your hosting company while we work hand in hand with your clients. All of our technicians are trained Linux Experts and we’re capable of handling simple issues (can you send me my welcome letter) all the way up to some of the most difficult tasks (can you restore my site or perl module installation). It’s up to you just how much control you allow. For some clients we have full SSH access and we support their web hosting clients regardless of the technical requirement. However, others choose to restrict access and we work with their clients to provide first level triage and customer service. 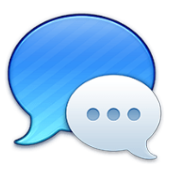 Chats can be used for all levels of support and can run 24/7 or during specific times of day, as you choose. 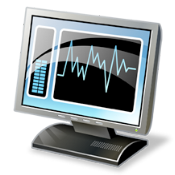 We can provide you with the necessary software and customize it for your individual needs. Phone support adds that “human touch” to your support services. Many times the ability to speak directly with someone regarding an issue can mean all the difference in keeping a customer or bringing in new business. 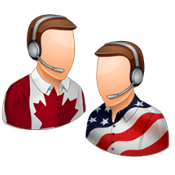 Our friendly, 100% North American phone support staff can make that difference for you. Please contact us to inquire about volume discounts. While Our Tier 1 support encompasses nearly all of the Tier 1 and 2 of other Support companies, some items are still classified as billable work. If you have a custom job that needs doing we can help you schedule the time and staff to make major corrections, migrate your clients to new hosting platforms, or upgrade modules and components. Please contact your Account Manager or our Sales team to discuss the costs of particular jobs.